Having a truck has it benefits since you can use the back of your truck to load cargos and other essential items. Is Truxedo Lo Pro suitable for me? What is Truxedo Lo Pro? What to expect from Truxedo Lo Pro and who is this product for? How to install Truxedo Lo Pro? What is the alternative to Truxedo Lo Pro? The Truxedo Lo Pro is a soft rollup truck cover with a low-profile and sleek design, and it is what Lo Pro is known for. It has heavy-duty construction, and it has an automatic tension control that is patented, and it helps keep the truck cover looking good in any weather condition. This product is for anyone who owns a truck and those who continuously travel with essential items at the back of their truck. It is also for those who want to keep their truck bed clean and free from elements. 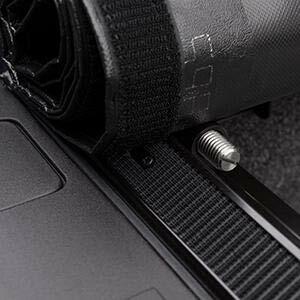 The Truxedo Lo Pro can be mounted inside the rails of your truck's bed, so it provides full access to the stake pocket holes, and you can use it with additional accessories. 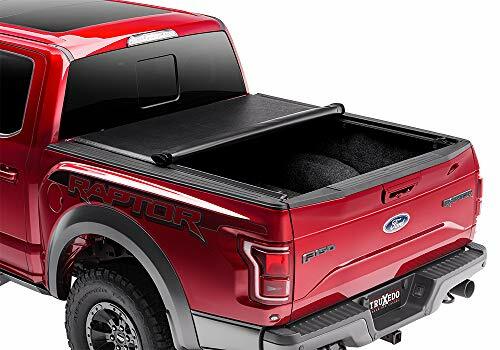 This product has a stylish design, and it has a simple functionality, and it also features durable bed protection, this is why it is the number 1 roll-up truck bed cover in the United States of America. It is made in the United States of America, and it has a lifetime warranty. This truck cover has a low-profile design, and it sits around ¾ inches above the bed of the truck. The Truxedo Lo Pro does not distract, but instead, it enhances the overall appearance of your truck. It has a quick-release system which means that the truck cover can be removed in just a matter of seconds without using any tools, providing you with the full access to your truck bed. It also has a tension control that is automatic, and it has a patented design that allows the truck cover to maintain a fit, tight and great look even in extreme weather conditions.Lo Pro improves the gas mileage of your truck up to 10 percent because of its well-made aerodynamic design. The product is also secure, reliable and tight. Truxedo Lo Pro is a roll-up truck bed cover that is made of soft vinyl, and it also has the highest quality in the industry when it comes to materials used. It has an industrial leather grain that is made out of the best quality material, the fabric is tear resistant. It can be operated easily as it has a single trigger latch that needs only one finger to open the truck cover fully. The truck cover can be removed with just one hand without any tools, providing full access to the truck bed. You can roll the truck cover and close it quickly to store your cargo securely. Some of its additional features are its ability to open your truck’s tailgate while the truck cover is on, its compatibility with a 5th wheel and items that are oversized. This item is available for most pick-up truck models, as well as applications that are customized for toolbox configurations that are pre-installed. There are instances wherein some customers find it confusing to install and to use, so they opt for other options. An alternative is the Roll-in-Lock Truck Cover. This truck cover is one of the most secure, versatile and rugged truck bed cover in the market today. It has retractable function which allows you to open and close it in seconds. It also has a rigid and extruded aluminum construction. This truck cover offers everything that other truck covers do not. You do not need to snap it to manipulate, you also do not need to bundle and roll it to lash it down or stow it. This truck cover has no cross bars that you need to negotiate and it has no fabric shrinkage, so you have nothing to struggle with. You also do not need to combat solid hinged covers nor fold it. It is one of the most advanced and the best truck bed covers in the market. Truxedo Lo Pro is a product that you need if you travel with important cargo or if you want to have the back of your truck clean and element free. It is scratch proof, it is easy to install and it also strong enough to withstand any harsh weather condition. It can also keep your cargo safe from thieves or from falling off while you drive. Its stylish design goes well with any truck model, and it has a low-profile design, so it does not stand out as much, and it blends in perfectly with your truck. The Truxedo Lo Pro is a perfect investment for you. We tried our best in this review. Thanks for the comments!